For your convenience, we have put together a list of some of the questions that are asked most frequently on our website. If you are unable to find an answer to your inquiry, please feel free to contact us and we will be happy to assist and answer all of your questions. 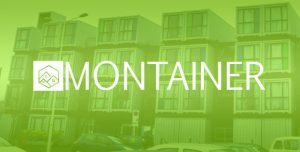 Q: Are Montainer homes made from recycled shipping containers? Q: Will the Montainer Home rust out? A: Yes. However, it will rust much slower than mild steel because shipping containers are made of corten steel, a marine grade steel which is crossing resistant. It was developed to freeze the rusting process and will remain waterproof throughout its lifetime. The Montainer team can add a layer of rust-resistant paint and primer to add extra support. To learn more about its anti-corrosive properties you can search it on Google. Q: Where does Montainer deliver? A: We deliver and install homes and are especially focused across Florida, with special knowledge and expertise dedicated to the area as this is where the majority of our clients are concentrated. Q: Does a Montainer home need permit approval? If so, can Montainer help in processing the permit? A: In most cases yes. If you need further assistance, Montainer offers the service of an in-house Professional Engineer. He will help take care of all permitting documents necessary to gain permit approval for your home. If you are interested in this service, please contact Montainer. Q: How long does it take to get my Montainer? A: The typical delivery time mostly depends on your needs and how far your area is. In most cases, the initial delivery time takes about 30 days. But expect 60 days from beginning of production to completion and installation of your home. Q: How will my Montainer be delivered? A: It will be delivered on the appropriate transport, whether it be a flatbed or chassis depending on the configuration chosen.